This family owned business is a 29 year old success story and counting. Their goal was to have a staff of trained people that would produce printed apparel for people all over the nation. Today they have achieved that goal! They have a well trained staff that produces embellished apparel and items for companies and organizations all over America. With a large and high profile client list that reads like a who’s who of American companies: Neiman Marcus, Wal Mart, Target, Ruby Tuesday’s, FBI, DEA, ATF, Terminix, Mississippi Power, just to name a few. 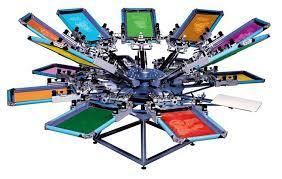 Our quality printing and embroidery have brought us recognition. Our designs have been featured by the US Screen Printing Graphics Association trade show. Selling everything from t shirts, aprons, scrubs to koozies. Annual sales around $650,000.00 and a cash flow over $175,000.00 this business will be making you money from day 1.